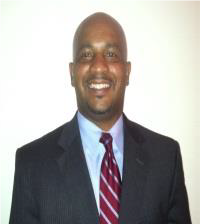 Mr. Blount currently serves as the Director, Air Force Solutions, AT&T Public Sector Segment, where he’s responsible for customer-focused strategic development and Solution development for the Air Force, Department of Defense. Prior to Joining AT&T Mr. Blount was a Senior Partner with Vanna Solutions a WOSB Headquartered in Dayton Ohio providing Strategic and Business Development Executive leadership. In this role he was responsible for business growth within DOD, DHS and commercial Sector. Col Blount also, served over 23 years in the United States Air Force, retiring as a Colonel. His varied assignments include tours as a Communications and Cyber Operations officer. Some highlights of his career include an Advisor for the Secretary of the Air Force Warfighting and Integration lead General Officer at the Pentagon. Director of Communications and CIO for the Air Forces Northern- NORTHCOM Homeland Defense Air Force lead command. Mr. Blount culminated his distinguished military career as the Deputy Director of the National Guard Bureau at Andrews, Maryland where he led a global organization of military and civilian personnel who provided direct support to the Secretary of Defense, Joint Chiefs of Staff, and other mission partners. Mr. Blount holds a B.S. Computer Science from St Augustine’s University and a Master in Human Resource Management with a concentration in Organizational Development from Webster’s University. He’s also a graduate for Air War College. Tim has one daughter Raven, who’s a student at North Carolina State University.